RETAIL competition for Tasmanian energy companies is up in the air with the State Government taking the sale of Aurora's customer base off the table. Deputy Premier Bryan Green this morning admitted there would not be full retail contestability in the energy market at the start of next year as previously promised. Mr Green said selling Aurora's customer base was off the agenda after advice from Treasury. DELIVER competition in the electricity market. OFFER a fair and reasonable price. MINIMISE the residual risks and liabilities to the state. "It is with disappointment that I inform the House that I have recently been advised that the divestment of Aurora's retail customers is unlikely to achieve these objectives at the current time," Mr Green told Parliament in a ministerial statement this morning. "I have been advised by Treasury that it does not believe that the current divestment process will achieve a fair and reasonable price at this time for Aurora's retail customers. "In these circumstances, the Government has decided that continuing with the current divestment process would be neither appropriate nor responsible." Mr Green said legislation that has already passed Parliament would allow for retail contestability in the future. The cost of the move toward retail contestability has added up to $36.5 million, a document tabled in Parliament this morning shows. Opposition Energy spokesman Matthew Groom, who supported the electricity reforms, said it was not the policy that was the issue. "This is about the Government's botched reforms – not the policy," Mr Groom said. "Tasmania must be bewildered when the minister said it was a core element of reform … and it has failed." Both Mr Groom and Mr Green disputed claims made by Greens energy spokesman Kim Booth who said the Tasmanian wholesale energy market should have also been opened up for competition. Mr Green said the Greens policy could lead to the sale of Hydro. "If we did what you wanted to do, there is no coming back," Mr Green said. "It is too risky to go down that path. "We want competition in Tasmania but not at any cost." THE State Government could be forced to pull the plug on Tasmania's landmark energy reforms on the back of undisclosed advice from Treasury. Energy Minister Bryan Green yesterday confirmed bidding by potential buyers of Aurora Energy's customer base had been closed almost three weeks before the planned October 14 cut-off. Tasmanians were counting on the sale of Aurora to inject competition into the local power retail market for the first time. It was expected at least two interstate companies would fight for a share of Tasmania's electricity market and offer customers cheaper power. The reform was due to come into effect on January 1 and the Government has already spent $50 million on the process. Mr Green said there were parties interested in looking at Aurora's books, but he would not say how many. Opposition Energy spokesman Matthew Groom said the process had turned into another costly debacle. Mr Green said a ministerial statement would tell the public what was going on. He said Treasury had told Cabinet on Monday that the circumstances surrounding the sale of Aurora's customer base had changed. But he said the Government was still committed to the energy reform process. 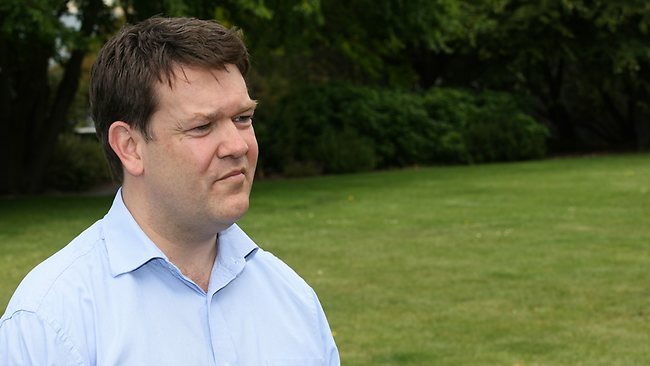 Mr Green admitted the public airing of issues connected with the reform process by the Tasmanian Liberals had forced his hand to close the bidding room. The Tasmanian Greens yesterday said any failure to secure buyers for Aurora Energy would be an energy policy train wreck caused solely by the Labor and Liberal parties' refusal to support the Greens' proposal to reform the wholesale market. Greens Energy spokesperson Kim Booth said the sale of Aurora was almost set up to fail. "We said all along that failure to address wholesale competition will not only wash the value off Aurora, it will make it difficult to sell off Aurora's customer base," he said. Mr Groom said Labor and the Greens had to be dragged kicking and screaming to support the Liberals' call to introduce competition into the market. "And now they have completely stuffed it up, leaving Tasmanians with a $50 million bill," he said. "This failure has all the hallmarks of the pre-2010 TOTE sale failure, where Labor also bungled the sale process, leaving taxpayers with a $30 million a year funding deed and ultimately selling the TOTE at a fire-sale price. "Tasmanians would be scratching their heads wondering how Labor and the Greens could stuff up selling a profit-making business like Aurora." Return to Van Dieman's Land? 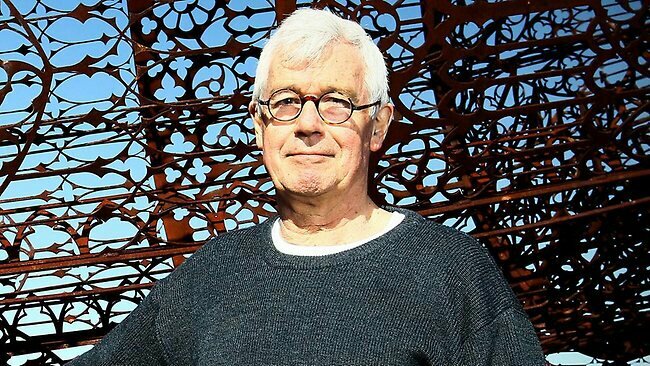 ASYLUM seeker advocate Julian Burnside QC says Tasmania should be declared a haven for asylum seekers in a move that would save the nation billions of dollars and boost the state's economy. Mr Burnside outlined his proposal of a "Tasmanian solution" to Australia's offshore asylum seeker processing crisis during a public lecture in Hobart. Social welfare groups such as the Tasmanian Council of Social Service say Mr Burnside's "bold and sweeping plan" has serious merit and should be considered by the incoming Abbott Government. Premier Lara Giddings said she would not be supportive of a series of permanent prison-like detention centres being set up around the state. "We have been welcoming of the Pontville detainees but we need to be cautious about going down a pathway too far," Ms Giddings said from Asia yesterday. Mr Burnside said the Pontville experience had shown Tasmanians were open to having asylum seekers in the community. He said Tasmania was a logical place for the proposal to be trialled with its island status and historical link to being a place of detention. "But I am not talking about these people being banged up in detention centres but allowed to live and spend in the community," he said. "These new detainees would spend in the community and provide a population boost to struggling rural towns." Mr Burnside proposed the Tasmanian Government be offered a $1 billion sweetener to embrace the idea. "If we did this, and even if every asylum seeker was on Centrelink benefits, Australia would still be saving $2 billion a year," Mr Burnside said. "That is a huge amount of money and the solution would be a huge benefit to Tasmania." Mr Burnside said he would float the idea with the new Federal Government. "I cannot believe the Australian people are comfortable with the nation spending $4 billion a year to damage people when we could spend half that and help not only the individual asylum seekers but the state of Tasmania and rural communities crying out for a population boost," he said. TasCOSS chief executive Tony Reidy said the incoming Prime Minister should look seriously at the proposal. "Tasmania is ideally situated to take this on," Mr Reidy said yesterday. "Asylum seekers are typically coming from desperate situations and coming here while their applications are being assessed would be like arriving in paradise. "This is a humane way of dealing with Australia's asylum seeker problem and it would provide a significant boost to Tasmania, especially if regional and rural settlements were accompanied by the provision of social security benefits and significant resourcing to the Tasmania Government to quadruple its affordable housing efforts. "We need instant action to keep Tasmania's builders, shopkeepers and other small businesses gainfully employed and this bold idea could be just the thing." This has to be one of the most crazy ideas that has been suggested in recent times as a band aid fix to a global problem. Tasmania's European settlement was established as a penal settlement to rid England's so called thieves, murderers etc, but that was ceased in 1853 now Julian Burnside wants to essentially return the state to an island detention centre. So does that make the current Australian citizens (Tasmania's current population) in "detention" making us a 2nd class to those who live in the other states/territories? Clearly should this plan even get off the ground I can see a lot of people who will be forced out of their homes because they won't want to be in a state of detention! "Mirror Mirror – Simon's Cat"